I love the original Pitch Perfect – I have seen it multiple times and I know the musical numbers word for word – but the second one was nowhere near as good and I groaned when a third was announced because I just had a gut feeling it would be even worse. Pitch Perfect 3 is a slight improvement on two but certainly not a return to form. The first Daddy’s Home was fine, but hit-and-miss and ultimately forgettable, and while Daddy’s Home 2 is marginally better (and I do mean marginally), it is essentially more of the same. We’ve recently seen Winston Churchill in The Crown, played by the award-winning John Lithgow and will we soon see him again in Darkest Hour, where he is portrayed by Gary Oldman. So do we need another one in the meantime? Well, probably not, but at least in Churchill we are presented with a different moment in time and an impressive performance by Brian Cox. If you love Judd Apatow movies, then you will love this. It is written in the same style as his other movies and the dialogue is as witty as its predecessor, Knocked Up. 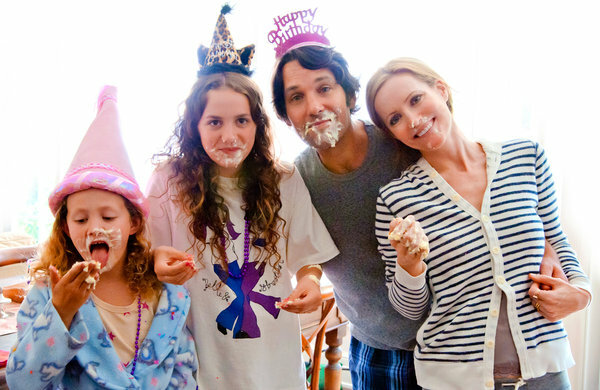 This “sort-of sequel” focuses on Pete (Paul Rudd) and Debbie (Leslie Mann), who are both turning forty within the same week. You may remember their troublesome marriage from Knocked Up as Debbie was Katherine Hiegl’s sister in that movie. They were forever arguing and getting upset with each other, so you can only imagine what they are like a few years down the line. They have day-to-day struggles but the main concern in this film is their age and their financial troubles. The first hour was fantastic- I thought the dialogue was so realistic and the scenarios were completely plausible. They had their problems but it was funny, bickering problems. These then get worse and it just becomes a lot of shouting and swearing and gets a bit random in places. It stopped becoming funny because it looked like they may divorce and I just wasn’t enjoying the constant yelling. I would say that it was fine for the first 60-90 mins but then it gets a bit crazy. I think I liked this more than Knocked Up because the humour wasn’t through random happenings or characters, it was because their depiction of family life is very accurate. Things did get a bit over the top and random further into the movie, when everything descended into chaos. I love Judd’s writing and I think Rudd and Mann had brilliant chemistry. They were brilliant together and it just felt like some of their dialogue was improvised. Their two children were hilarious in their own right- that may be because they were both played by Leslie and Judd’s real-life daughter, Iris and Maude. There were plenty of familiar supporting characters. Jason Segel is barely in it as Debbie’s personal trainer, Megan Fox gets the biggest supporting role as Debbie’s colleague, John Lithgow as Debbie’s dad, Melissa McCarthy as a parent (I didn’t like her part) plus Chris O’ Dowd and Lena Dunham pop up as workers at Pete’s record label. I would have loved to see more of these characters. I really did enjoy this, for the most part. It doesn’t really relate to Knocked Up at all and Katherine Heigl makes no appearance despite them being close in that movie and there being family events in this. It did seem a bit strange. There isn’t much of a plot, just several obstacles that need overcoming. It could have been about half hour shorter as 135 minutes is a long time for a comedy. I think the dialogue and characterisation of the central family make up for that- they are spot on. I recommend.